It's chilly over here! Today felt especially cold, perhaps the clouds cleared up after a week of rain. Doubling my knits because how else do you stay warm? 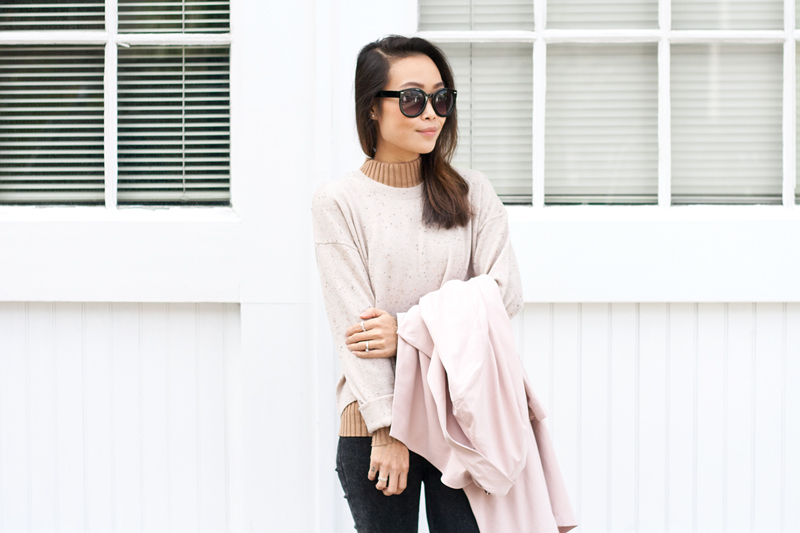 I am actually loving the layering a turtleneck underneath a crewneck look! It's a fresher take on the collared shirt underneath a sweater combo. 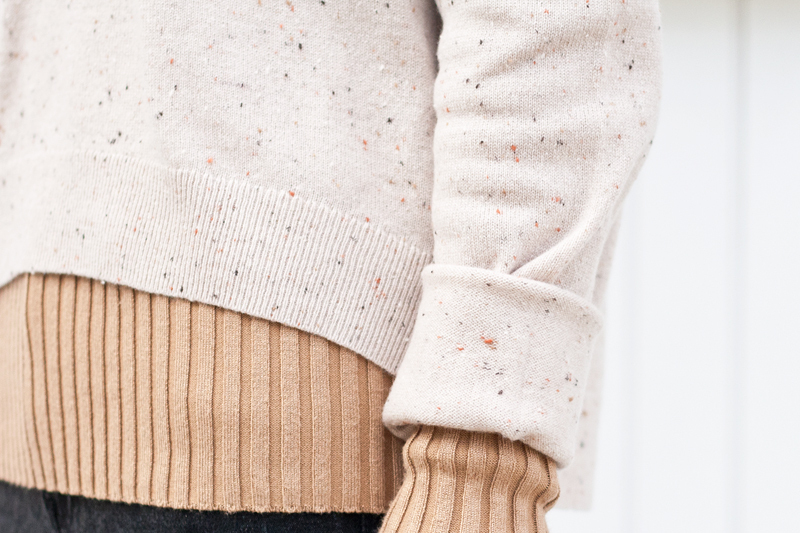 I absolutely adore this speckled cashmere crewneck sweater by Everlane. The blush color is dreamy and it is so soft! 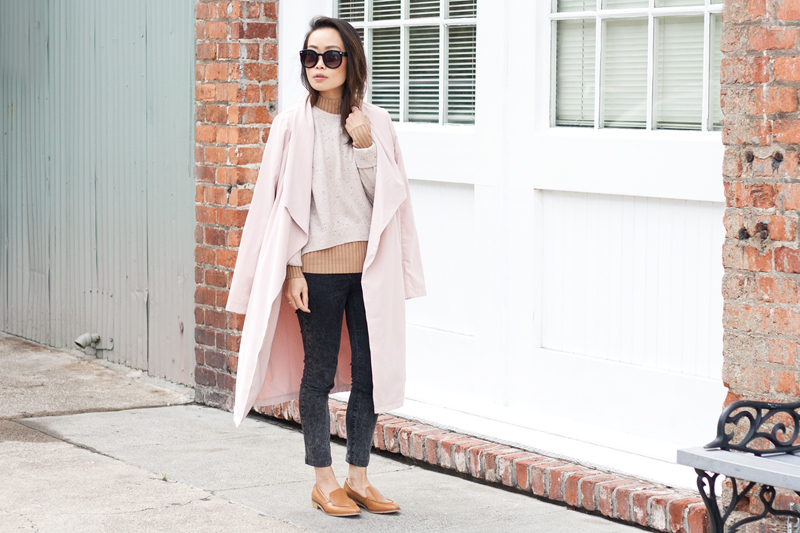 I threw on this lovely trench coat by Cupcakes & Cashmere in the same blush palette, a pair of acid wash denim, and the infamous modern loafers by Everlane. 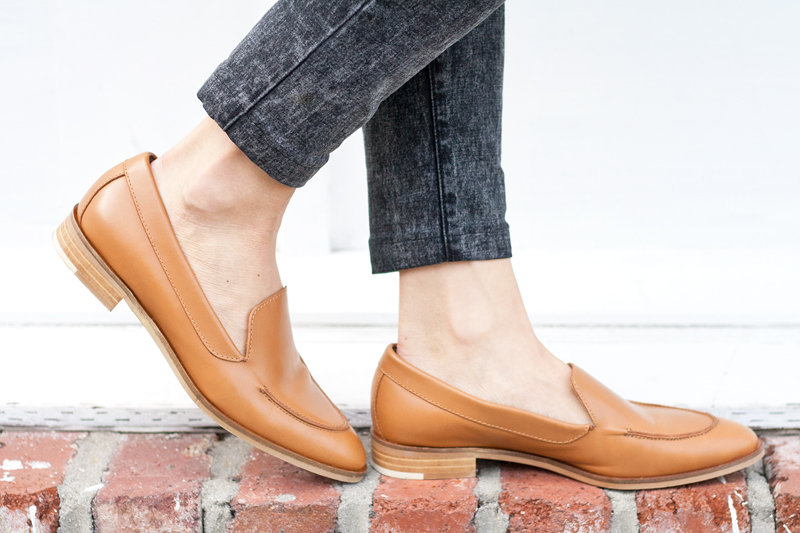 Speaking of Everlane, did you know they just launched a private instagram account @everlanestudio where you can get early access to shoes and exclusive sneak peeks? It's pretty awesome! 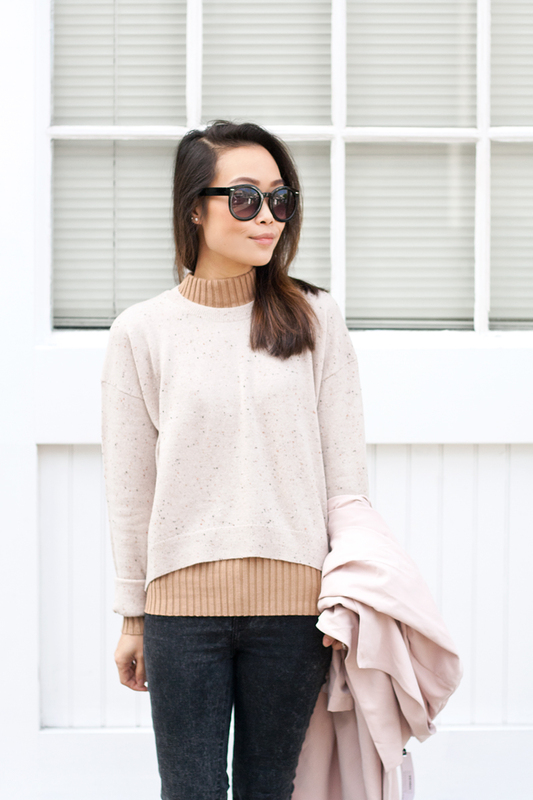 Cashmere cropped crew c/o Everlane. Ribbed knit turtleneck sweater (sold out but similar here, here, and here) c/o F21. 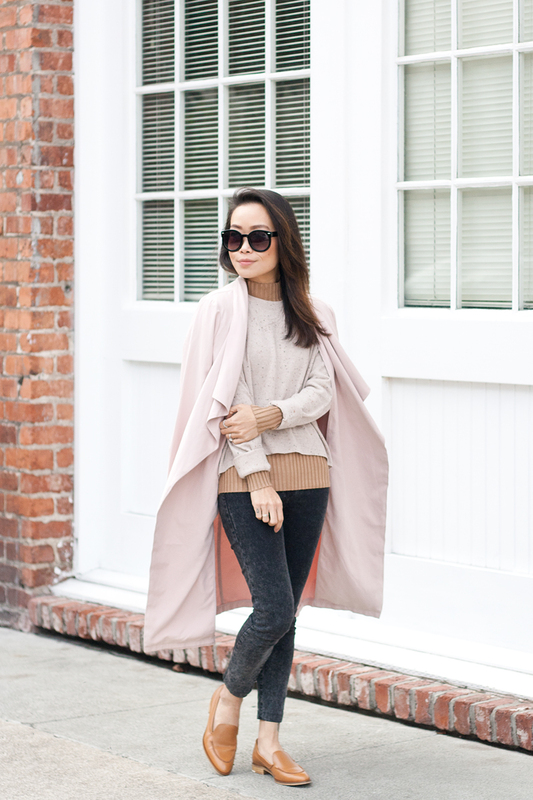 Trench coat by Cupcakes & Cashmere from Le Tote. This layering is perfection!! Gorgeous!